What New Relic Triggers and Actions are Supported? New Alert or Deployment - Trigger when we get an webhook for alert or deployment. New Deployment - Sends deployment information to New Relic. The first thing you'll need to do to get started with hooking up New Relic with Zapier and hundreds of other services is to add your New Relic Account to Zapier. Click to add a New Relic account in your Zap. You should then log into your New Relic account to retrieve your API key. 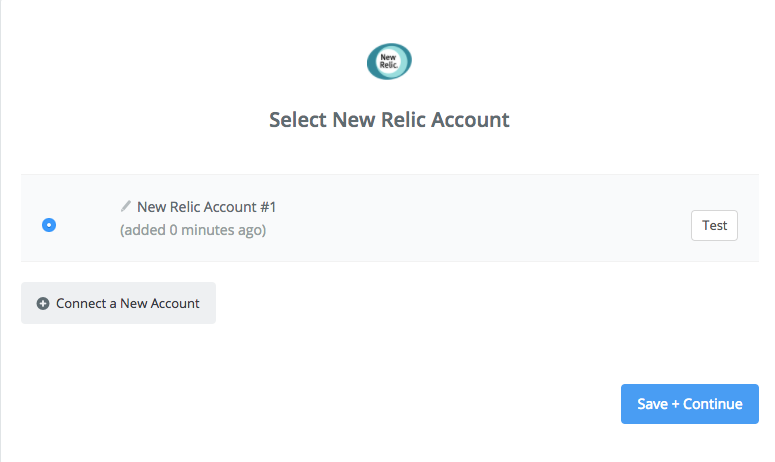 To find your New Relic API key, navigate to Account Settings > API Keys. If you already have a key, click "Show Key" and copy/paste that into Zapier. Or, generate a new REST API key if you don't already have one. Entering your New Relic API key finishes the process! 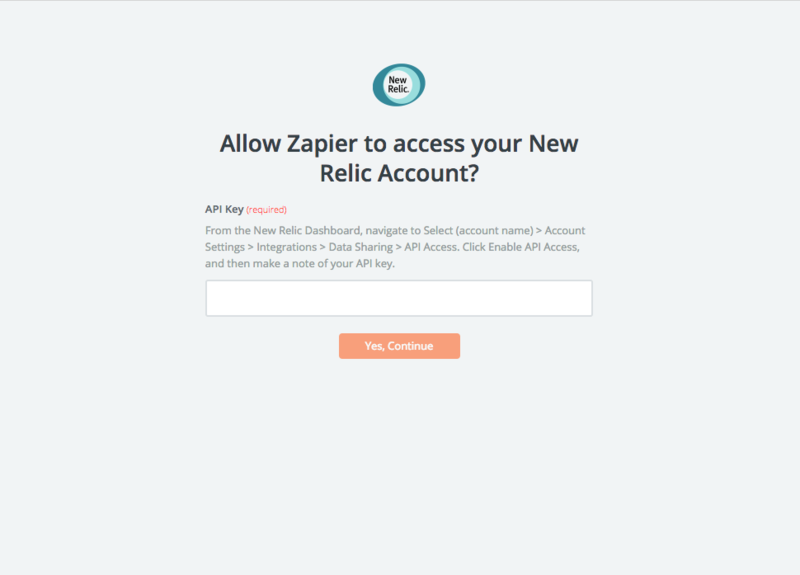 Your New Relic account is now connected to Zapier.